The UK’s second-largest construction firm, Carillion, has gone into liquidation after talks with the government failed to find a solution to its financial problems. The loss of money on several large contracts had placed the firm in serious debt. Carillion issued profit warnings in July 2017 and were dealing with debts of £1 billion along with a pension deficit of £587 million, given that the firm’s market capitalization fell from £2 billion in 2016 to just £61 million by January 12th 2018 its pension liability far outweighed its equity value. Employing over 43,000 staff worldwide, primarily in the UK, Carillion was at the forefront of many high profile contracts, such as the construction of the HS2 high-speed railway project and the running of 50 prisons in the UK. The overstretched firm suffered huge delays on a number of important contracts in 2017, such as the £745m Aberdeen bypass and the £350m Midland Metropolitan Hospital. Largely due to major on-site engineering problems, these delays likely cost the company around £150 million. 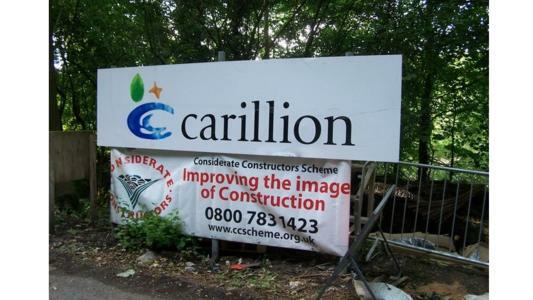 In spite of a steady stream of new contracts awarded by the UK government, who had hoped to reassure lenders and help Carillion get back on its feet, it was not enough to reverse their debts. The recent cash-crunch in the construction industry is also in part to blame for Carillion’s failure. Their support services contracts which accounted for around two-thirds of Carillion’s estimated revenue of £5 billion were simply not enough to offset this. Immediate decisions have been taken by the UK government in order to contain the fallout from Carillion’s collapse and the company’s board of directors will no longer be involved in the running of the company. Employees were told to return to work as normal on January 15th 2018 and have been ensured they will be paid as the government insolvency service assumes control of the firm and works to transfer staff to alternative contractors, especially those already working on state contracts such as HS2. The government is also engaged in the provision of funds for Carillion’s public services, such as the provision of school dinners. All staff with money held in Carillion pension funds will be transferred to the PPF (Pension Protection Fund) who will deal with the payment of current and future pensions.